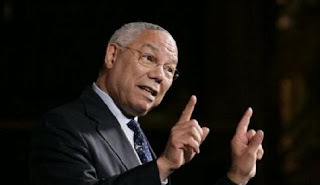 Colin Powell and gay marriage - Colin Powell and gay marriage, Colin Powell said on CNN Wednesday that he had “no problem” with gay marriage, but after a week of talk show appearances he’s made it clear he’s still not ready to back its latest champion, Barack Obama. As CNN’s Political Ticker points out, supporting gay marriage is a change for Powell, a Republican who until Wednesday had officially been opposed to it. Declining to support Obama is also a change for Powell as well, after the former Bush administration Secretary of State endorsed him in 2008. So far, Powell has yet to throw his support to Romney either. Powell’s been on a bit of a talk show blitz this week, promoting a new book, It Worked For Me, and as he said on The Today Show on Monday, he’s keeping his “powder dry.” (Maybe not the best choice of metaphor for Powell.) But The Los Angeles Times’ Michael A. Memoli said Powell was “putting his thumb on the scale in the president’s favor” as he criticized Romney’s foreign policy blunders like calling Russia our no. 1 geopolitical foe. “Well, come on, Mitt. Think!” But even though he and the president are on the same page in a lot of ways, now including on gay marriage, Powell won’t make with the endorsement yet. After all, he’s got a book to promote and once he pulls the trigger on an endorsement he’ll probably fade from the headlines.